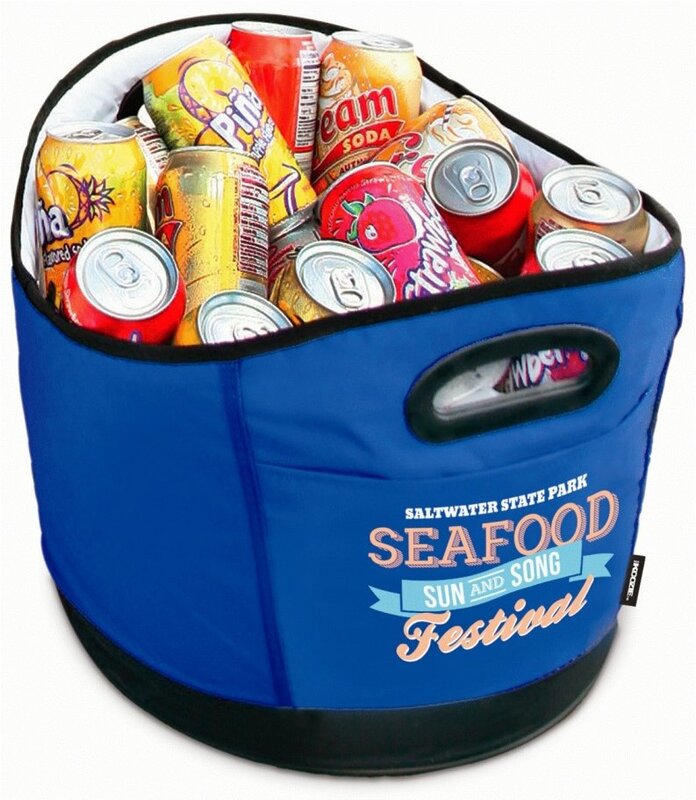 Get your logo on the original Koozie 24 Big Mouth Promotional Cooler. Apps include giveaways, hotels, resorts, events, Promotional Items. 24 cans plus ice, can/bottle opener, molded in carry handles. Overall size is 16 1/8 w x 11 1/2 h x 9 1/2 deep. 5 - Colors. Made for outdoor - indoor use, ice down some cold ones. You MUST order the cooler lots of 10 units over the min. Rush Production no extra charge w/ a 1 color print. Price includes a one color imprint on front area 5 1/2" w x 4" h.